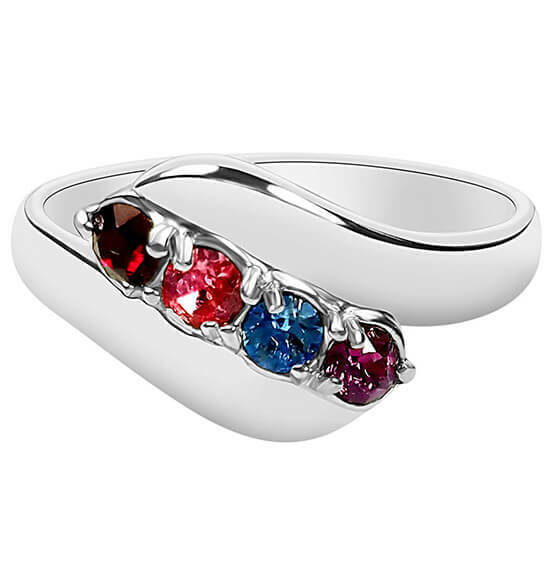 Design your own beautiful Birthstone Crystals Bypass Ring! 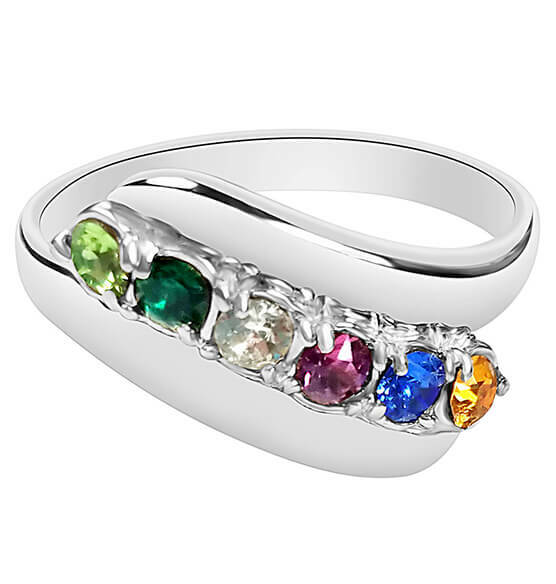 Stones represent children, siblings, pets or simply your favorite colors. 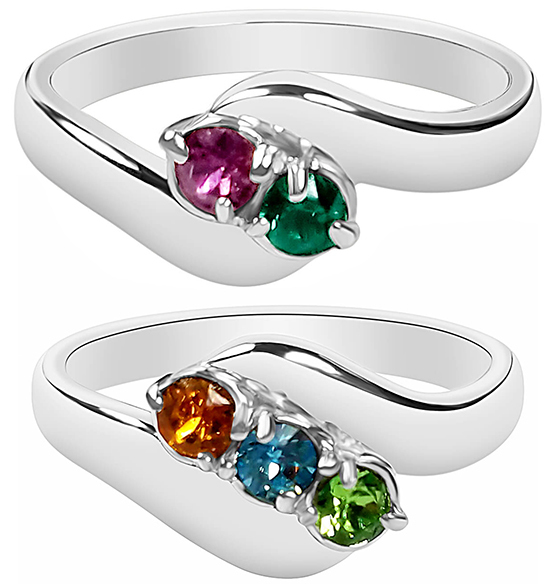 Sleek ring is an elegant setting for your unique design. Specify months. Makes a great Mother's Day gift! 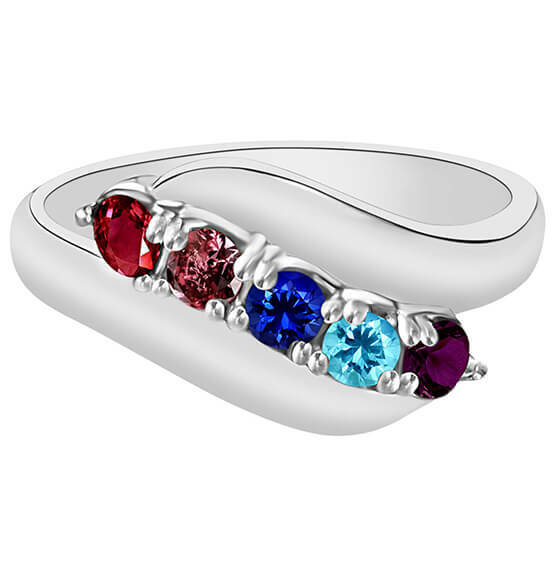 Size 8 (4 stones) is expected to be in stock May 2019.